This is a first-rate guidebook for the development of consciousness, by one of the foremost pioneers of brainwave biofeedback. Awakening the Mind is filled with practical secrets that anyone can use to make fuller use of the mind and become more skilled at living. – Andrew Weil, M.D. This CD contains music designed to ‘walk’ your body through an experience of deep healing. 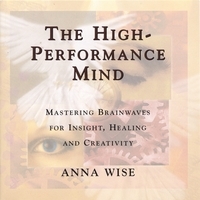 A combination of classical and world music with frequencies especially designed by Anna Wise that influence your brain waves. Sound Body, Sound Mind will transport you into a state of profound relaxation where healing can occur. Just put it on, relax and let the sound do its work. Sound Body, Sound Mind encourages any kind of healing: physical, mental, emotional or spiritual. As you listen and allow yourself to relax, the intricate combination of sounds gently encourages your mind to follow it into states of deep relaxation that provide the best environment for the body and the mind to heal themselves. The original 2-CD set with a 64 page booklet is available at Amazon.com; the CD was re-released in 2005 as a single disc, and this is available from a number of sources, such as CD Universe and AppliedMusic .com. I´m a yoga teacher and for me knowledge of and experience with the different brainwaves is what we can call modern meditation. The CDs are great. I use this CD set in my 10th grade Emotional Health class and the students really enjoy it. Her instructions are clear and the students report enhanced relaxation when I use this material. Best meditation CDs that you can buy, with meditations especially written to develop the specific brain waves for meditation. 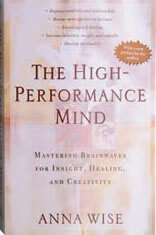 This is a fantastic CD … all meditation takes time and effort but this CD expediates results. Excellent, am loving every minute of it – like having someone hold your hand and help you through meditation. I am reading her book “Awakening the mind” and I’m so glad that I decided to get these CDs instead of trying to record my own meditation instructions. The music, timing, tone and voice are all coordinated so well that they guarantee a relaxing, refreshing and inspiring experience.